The Campaign to ImmuNYze all New Yorkers is a vaccination initiative of the County Health Officials of New York (NYSACHO), created to heighten awareness of vaccines and the need to immunize throughout life—from infancy through senior years. Our goal is to unite patients, parents, providers and campaign partners around this important issue, as well as offer reliable, scientific-based immunization information on adult, teen and child vaccinations and vaccine-preventable diseases. Childhood vaccinations are one of the most important steps you can take to protect your child. 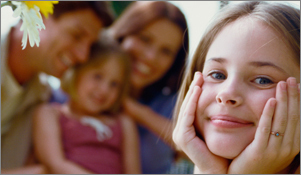 Learn more about child vaccines and vaccine-preventable diseases. Vaccines are not just for children! Adults also need immunizations to stay healthy and prevent disease. Learn more about adult vaccinations. 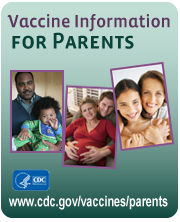 Immunization information and engaging educational materials about both child and adult vaccines are available for download, at no cost to you. Working together, we can ImmuNYze all New Yorkers and increase child and adult vaccination rates across the state. Learn more about our Campaign Partner. Click the link below to access and download materials. The Campaign to Immunize all New Yorkers strives to provide up-to-date, accessible information about adult and child immunizations with the goal of increasing vaccination rates throughout the New York. Through a combination of print materials, social media and radio buys, as well as the information and downloadable documents on this website, the Campaign’s upbeat messages will be made available to the public, providers and our partners.